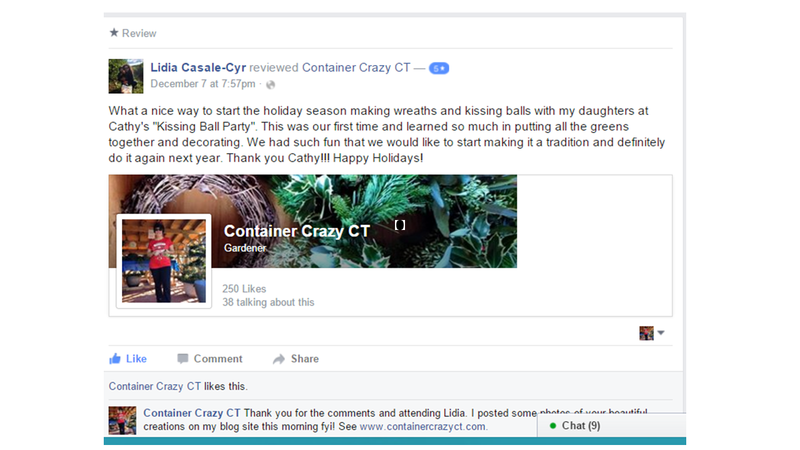 In Container Crazy CT’s annual Kissing Balls & Holiday Creations workshop, attendees have the option to make a Large Kissing Ball with a wonderful mix of fresh greens such as Balsam, Fraser Fir, Boxwood, Berried Juniper, Cedar, Arborvitae, Holly, and White Pine. Large Full Size Kissing Ball (photo above). Dates: Held first Saturday in December every year. Personal appointments are also available. 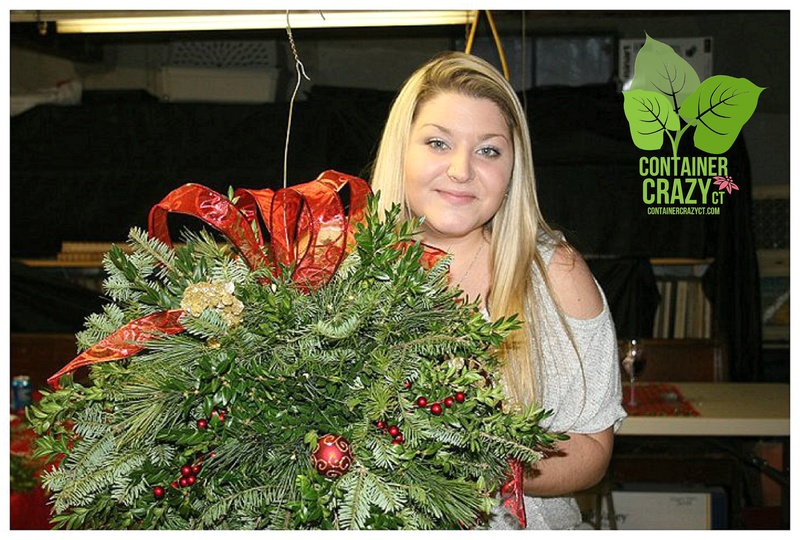 For photos of past workshops, visit our new GALLERY page.